The Zimmer Durom Cup is a newer type of hip replacement component, made with a single piece of material. Since it was introduced to the US market in 2006, the cup has been used for total hip replacement (known as hip arthroplasty) in more than 12,000 patients, but many individuals have reported severe pain and the need for additional hip surgeries after having the Zimmer Durom Cup hip replacement implanted. According to the manufacturer, doctors reported post-hip surgery problems “requiring revision” 5.7 percent of the time. In other words, at least 684 patients may require additional hip surgeries after having a Zimmer hip replacement. Some patients have also experienced problems with the Zimmer NexGen CR-Flex knee replacement component. In July 2008, after reviewing data on more than 3,000 cases, Zimmer, the world’s largest manufacturer of hip replacement parts, suspended sales of the Durom Acetabular Component (Durom Cup) until it can update the label with instructions about special surgical techniques to be followed during total hip replacements. Because the Indiana-based manufacturer says it did not uncover evidence of any manufacturing defect or design defect, a recall was not issued. 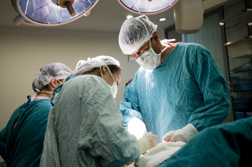 Class action and individual lawsuits have been filed against Zimmer Holdings Inc., claiming it failed to provide proper warnings, instructions and training to surgeons. In April 2008, Dr. Larry Dorr, a prominent orthopedic surgeon, wrote an open letter to members of the American Association of Hip and Knee Surgeons complaining of Zimmer Durom Cup problems: of 165 Zimmer Cup implants he performed, 14 were “revised or required revision” within the first two years after surgery. Dr. Dorr indicated that the Cup was defective: the fixation surface on the cup was problematic and a circular cutting surface on the periphery of the cup prevented it from fully seating. One month later, Zimmer sent a letter to healthcare providers indicating they were initiating an investigation into the complaints of Zimmer Durom Cup complications, which led to the suspension of sales in July. 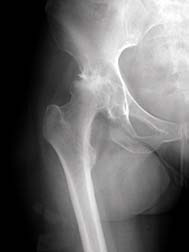 According to a 07/30/10 report in The New York Times Zimmer blamed the problem on Dr. Door’s technique and provided the FDA with information indicating that the hip replacement worked as intended. The FDA investigation was then closed. In July 2010, Senator Charles E. Grassley (R, Iowa) asked Zimmer Holdings to provide information about how it handles complaints about product problems from medical consultants and how it tracks long-term performance of its devices. The request was made after a 06/20/10 article in The New York Times, which outlined two disputes between Zimmer consultants and the device maker—both of which involved consultants claiming there were problems with Zimmer products. In both cases, Zimmer reportedly blamed the technique used to implant the device for the failure. Zimmer responded to Grassley’s request saying it “welcomed the opportunity” to speak with Grassley. Zimmer advises patients who have received the Durom Cup to contact their doctor if they experience pain more than three months after surgery. If you or a loved one has suffered damages as a result of a Zimmer Durom Cup, you may qualify for damages or remedies that may be awarded in a possible class action or lawsuit. Please click the link below to submit your complaint to a lawyer for a free evaluation. Maker of the Zimmer Hip Faces Investigation i.. I have had constant pain in both of my hips since having bilateral hip replacement. I have been in constant pain every since I had my left hip replaced. Looking at third hip replacement Previous hip 2001 & 2003 manafatured by zimmer inc. stainless steel & plastic (high density polyethylenes. Publish your Zimmer Durom Cup experience here for our readers to learn from. Chicago, IL: While not the market leader in the hip replacement industry, Zimmer hip is nonetheless poised to share in the projected $8.6 billion implant market by the year 2017. That’s just six years away. However, it does speak to the growing need for the largest segment of the baby boom population moving through middle age into the retirement demographic and requiring joint replacement at a scale not yet seen. That’s why a column by writer Barry Meier, appearing June 26 in The New York Times, is so troubling. It points to the current state of the artificial implant industry—especially hips—and, specifically, troubles with metal-on-metal hip implants, a design that is part of the Zimmer hip replacement line. It has been revealed that as far back as 1996 an industry consultant warned in a published article that the metal-on-metal design of any artificial hip manufacturer (not just Zimmer Inc.) posed significant risk. Jonathan Black, professor emeritus of bioengineering at Clemson University, noted 15 years ago that the aftereffects of metallic debris had not been properly studied—nor could it, given the statistical impossibility of conducting sufficient studies to prove the assumed superiority of metal-on-metal implants over the more traditional—and highly effective—metal and plastic design that had been around since the 1960s. Earlier cursory tests of metal-on-metal implants are said to have revealed the presence of metal particles in organs and the bloodstreams of test patients, even then. Metal-on-metal implants have been failing at a higher and faster rate than more traditional implants. Zimmer, for its part, temporarily halted sales of the Zimmer Durom Cup for that very reason. However, Zimmer postulated that the failures had more to do with improper installation than a potentially defective design, and undertook additional training for surgeons. Surgeons, for the most part, were excited about the concept of metal-on-metal implants such as Zimmer Durom Cup hip replacement. They were easier to implant and afforded—on paper, at least—the promise of increased durability and mobility for the patient. However, it was revealed on Sunday in The New York Times that rules observed by the US Food and Drug Administration (FDA) do not require manufacturers of metal hip implants to undertake clinical trials before bringing a new product to market—partly because the “new” product is substantially similar to that which is already available. Instead, the hip implants are tested in laboratories and testing facilities on devices that simulate real-world use. However, it has since been revealed that such tests were conducted based on idealized conditions, according to a device-testing expert at Los Angeles Orthopaedic Hospital. The move last month by the FDA to require metal-on-metal hip implant manufacturers to conduct emergency studies of patients having received metal-on-metal implants—including the Zimmer defective hip—was described as highly unusual. On Feb. !, 2007 i had my right hip replaced with a Zimmer Durom . It is now 5 years later and after 4 more operations and 3 dislocations I am still suffering with acute pain and can’t even walk up a flight of stairs. How much are people suing getting as a result of their lawsuits? Hi Don, you may not like my answer (and I may be wrong, so seek legal advice), but my understanding is that a person has two years to file a lawsuit from the time the problem that caused any revision surgery was discovered, but no later than five years from the date of their original surgery. I hope I’m wrong in your case, and with the number of revisions you’ve had I would definitely get an opinion from a lawyer.